Here it is February, and I’m only getting around to processing and organizing all the stuff that’s happened in the last month, exciting stuff setting this year off in the right direction. For starters, there’s this bit of wonderful news – gather here is going to start posting video tutorials on different crafting techniques. I am thrilled to say I’m in the very first video – Attaching a Binding To a Quilt – filmed by the talented and delightful Ryan McCoy Johnson. 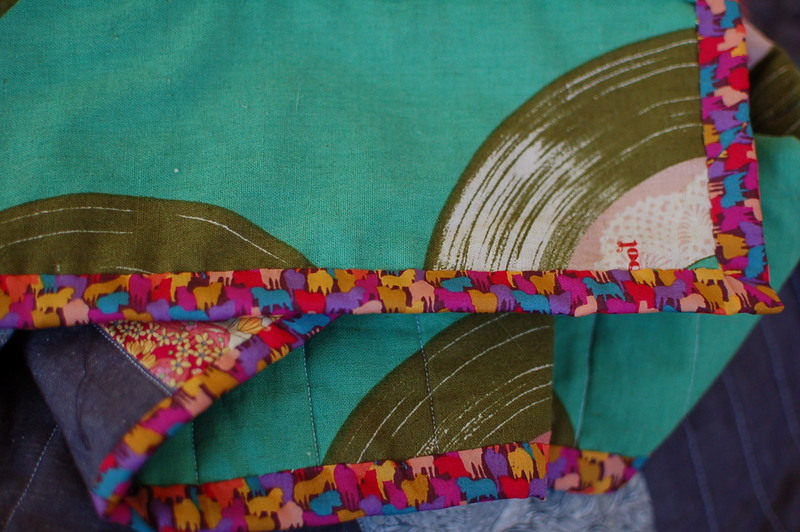 It was a superfun learning experience, and I’m already looking forward to the follow-up – how to then tack the binding to the back of the quilt (machine vs. by hand). This time, we’ll have storyboards at the ready to make filming go even quicker and smoother.